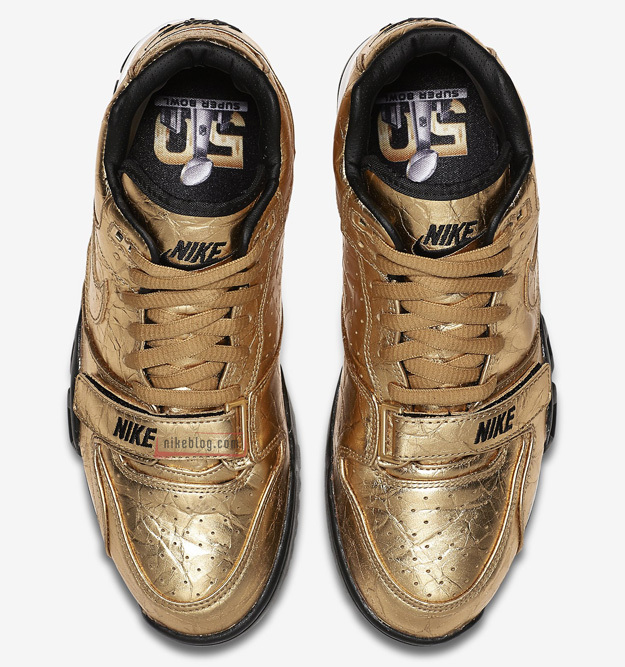 In commemoration of Super Bowl 50, the Nike Air Trainer receives a "Golden" touch. Super Bowl 50 is less than a month away and while the participants have yet to be determined, Nike has already made preparations to commemorate the big game. 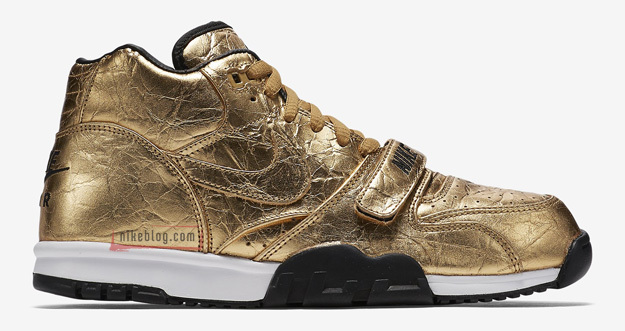 Just as it did in 2014, Nike has plans of dropping another head turning Air Trainer 1. If you recall, Nike released the 'Silver Speed' AT1 which featured a hologram-like upper that captivated the sneaker community. 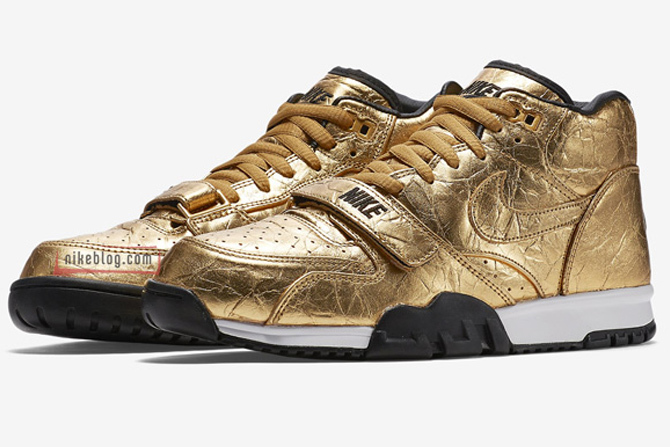 Last season, Nike went with a much more muted release when it dropped an Air Trainer 3 as part of its "Desert Journey" collection. 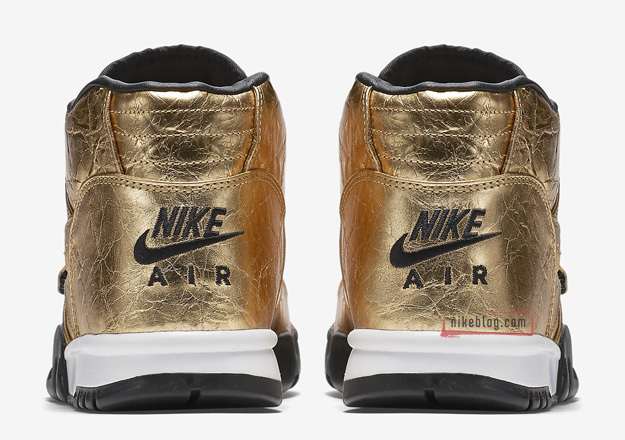 This season, gold is the theme and rightfully so considering the signifcance of this year's game. 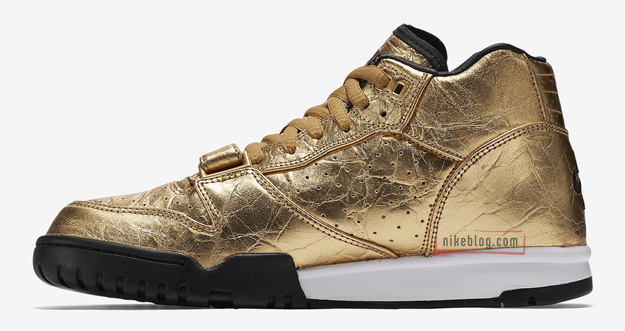 The Air Trainer 1's upper is decked out in a metallic gold, crinkled leather and contrasted with a white midsole, black outsole, and black accents. The footbed also features the official NFL Super Bowl 50 logo printed right on top. Expect these Air Trainer 1s to release at some point in the near future alongside the Nike Free Trainer 3.0 V4 that we previewed last week.